Believe it or not, when I, a Pilates and Barre instructor, take class I am in the same boat you are. My muscles are shaking, sweat pouring off my face, wanting so badly to give up as it just keeps getting harder and harder. People think because I teach Pilates and fitness classes I am a tank and am in the best shape of my life. Quite the opposite actually. At times, I am teaching 10 classes or clients a day. This doesn’t in any way mean I am working out for 10 hours a day and getting paid for it, which is what many people think. The busier I get, the more out of shape I get because there simply just are not enough hours in the day! As a teacher I am absolutely not the type to get in front of the class, put music on and workout hoping everyone behind me follows what I am doing in perfect form. Yes, I demonstrate a few reps of an exercise, but after that I am walking around, yelling out cues and getting right behind you, correcting your form. Call me crazy, but I am genuinely interested in your progress, and I care more about giving you an effective workout than I am of burning a few hundred calories myself. 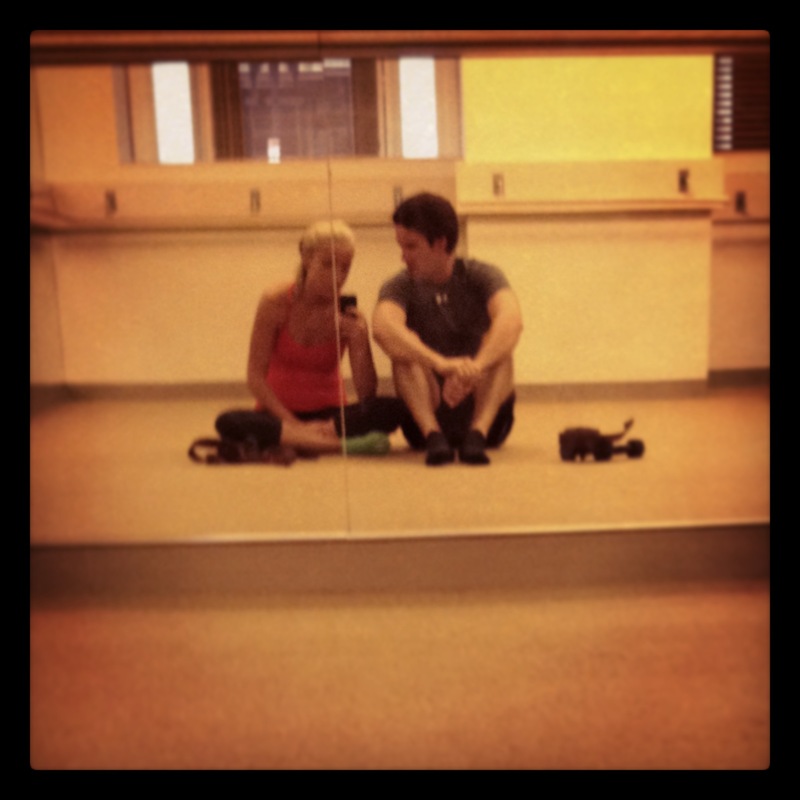 For the week before my wedding, my husband and I took TWO Core Fusion classes a day. Core Fusion is another barre-based workout, and my personal favorite. I have been taking these classes since 2007 and it still beats me, every time. I really should have recorded myself in class just to prove to you that we teachers find it just as hard as you do! My legs were shaking uncontrollably during thigh work at the barre, my standing leg was cramping during seat work and my abs were on fire! But I loved every minute of it. As I’m sure you all do too, right? For that week that I had to myself with the time to focus on me and only me, I have never felt better. I will always be the first to admit that what you do in class is not easy, and I never find it easy. I am amazed every class with the hard work you put in. When you think I’m crazy pushing you harder than you have ever felt, it is because I think you can all handle it! Keep an eye out for me in class with you soon. I’ll try not to chicken out!